There is one relentless movement forward - that of time and age, which makes us a bit less attractive, carving our face with the signs of the pleasures and unspoken disappointments we have experienced. Wrinkles are what we most often put up with. But what if we have decided to wage war against them? What do we do? The answer: Innovative cosmetics: REGAL Age Control, which unites the two most innovative and successful methods of fighting wrinkles-the BOTULINUM effect and HYALURON lift. The Botulinum effect is achieved through inserting the newest hexapeptide ARGIRELINE®, which influences facial muscle contraction that results in decreasing even deep wrinkles. Its effect is identical to the effect and results of the botulinum toxin. It works by imitating N – the end of SNAP – 25, which competes with SNAP-25 for a position in the SNARE complex, or respectively modulates its formation. If the SNARE – complex is slightly unstable, it is impossible to release nerve impulses and as a result the number of muscle contractions decreases, which leads to reduction in wrinkle and line formation. The active ingredient ARGIRELINE® we use has shown great efficiency in both suppressing the SNARE complex and catecholamine (noradrenaline and adrenalin) release, which also has impact on wrinkle formation. For ultimate lifting we use the new cutting edge technology HYALURON LIFT. Hyaluronic acid is a natural component of the skin and connective tissue. By connecting with water molecules, it restores skin’s hydro-balance and elasticity. With ageing the amount of hyaluronic acid decreases significantly and the connective tissue loses its supportive function. To reverse the process and ensure skin’s rejuvenation we use the HYALURON LIFT method, which involves inserting hyaluronic acid in the skin. By increasing its amount, it is possible for the skin to restore its elasticity and for the wrinkles to smoothen in depth. The Hyaluronic acid not only connects with and retains moisture in the stratum corneum, but also creates a protective film for the surface. It prevents the moisture from evaporating and averts the dehydration of the deeper layers of the skin. 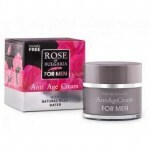 It provides you with the opportunity to get rid of the fine wrinkles and lines around the eyes and lips. 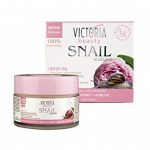 It refreshes the skin of the face and neck. In the fight against wrinkles, we use many other anti-age ingredients: jojoba and avocado essential oils, special sun-protection UV filters, vitamins and plant extracts. 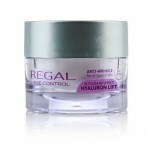 The REGAL Age Control products reduce mimic lines and deep wrinkles. 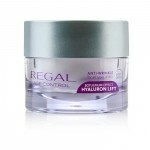 They combine the Botulinum effect with the effect of the hyaluron acid, which fills the wrinkles. 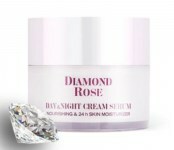 They hydrate the skin and reinforce its collagen structure. They also form a protective shield against harmful effects. This is the alternative of Botulinum injection with hyaluronic acid!